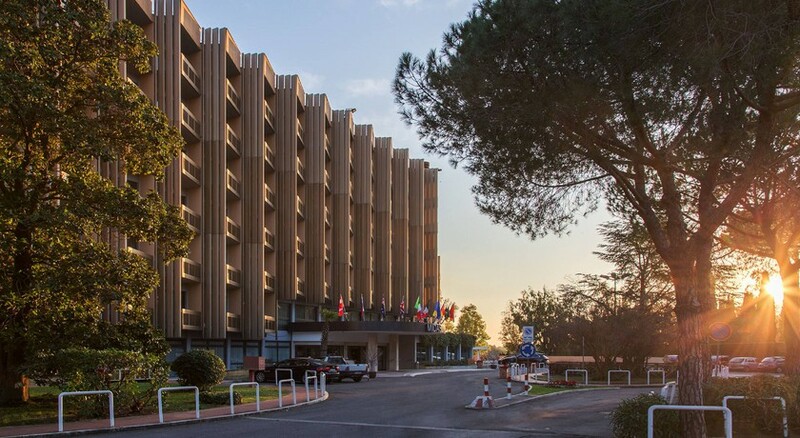 The NH Midas is located on the outskirts of the magical city of Rome, ideally situated near Via Aurelia, a few kilometers from Vatican City, the Sistine Chapel, and the historical downtown of Rome. Resting in quiet residential area with lovely gardens 20 minutes from the Fiumicino airport and close to the Fiera di Roma exhibition centre, this contemporary 4 Star hotel is ideal for leisure and business guests with a serene location far from the traffic-filled streets but accessible to public transportation. All 344 attractive Standard and Superior rooms are air conditioned with extras like free Wi-Fi, and make a comfortable and affordable base for all types of travelers. 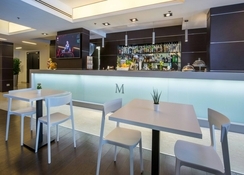 Getting to the Hotel: NH Midas is located 11 km from Termini Station. Take the underground Line A and get off at Cipro, and then take bus number 246 to Via della Stazione Aurelia. 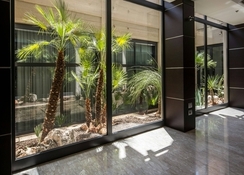 Local Tips: The hotel is not far from the Airport and from the Rome Exhibition Centre and from the Grande Raccordo Anulare, along Via Aurelia, perfect in order to arrive in the centre or to the sea, along the Roman coast. Enjoy warm hospitality and excellent service at the NH Midas. Dining: The NH Midas is booked as Bed and Breakfast accommodation. A delicious buffet breakfast is served daily. Baiocco restaurant serves genuine Roman cuisine as well as numerous Italian dishes and a wide selection of Italian wines. 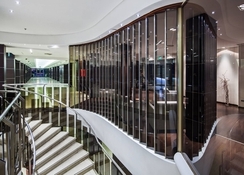 Guests can also relax at the welcoming lobby and bar. Activities: The hotel's large swimming pool is open from June to September. Due to the temporary closure of its swimming pool, the hotel has arranged a free shuttle service to a nearby sports complex, which features a swimming pool as well as a fitness room and a sauna, located 1 km from the hotel. Additional: 24 hour reception, Concierge desk, lifts, stay longer pay less packages for up to 3 and 5 nights, doctor on call, disabled access, room service, safe deposit box, free Wi-Fi Internet access (lobby/ground floor), public areas air conditioned, pets allowed, dry cleaning and laundry services, fax service, baggage hold, 24 multipurpose meeting rooms, with a maximum capacity of 600 people, latest conference technologies, wedding services, free parking, parking. The NH Midas features a range of 344 refined Standard Twin or Triple and Superior Twin rooms, all clean and spacious and equipped with numerous comforts to make your stay in Rome pleasant and relaxing. Room amenities include air conditioning/heating, Satellite TV, radio, mini-bar, electronic safe, direct line telephone, and a private balcony. Wi-Fi access is provided throughout the entire hotel. Private bathrooms include a shower or bath, make-up mirror, hairdryer and bathroom amenities. Smoking and non-smoking rooms are available. Baby cot is available on request.